Ivan Moudov is a shrewd observer of the mechanisms operating in the art world today. In his simulation of a museum of contemporary art in Sofia, his wine tasting session at the opening of the Venice Biennial, as well as in other works, including the creation of entirely new collections, he scrutinizes the world’s art institutions and their social codes, and plays around with them, using his own sets of rules. His work is evidence of a new type of institutional critique coming from “peripheral” artists who have recently joined the “central” discourse of Western art and are keen to offer their own insights into the role of contemporary art in their countries, which is often a far cry from what is accepted in the West. This new critique looks simultaneously at the power of the art institution in the West, as well as at the dominant position of Western social critique in a more general sense. It is, therefore, not coincidental that the gestures and artworks associated with it are often controversial, even scandalous. Moudov often mocks the self-critique of many Western artists as an attempt to assuage the guilt resulting from their cooperation with the existing market and power systems. Fragments, for example, is a collection of stolen pieces from artworks owned by some of the most prestigious art institutions in the world, in which the artist questions the history of Western art collections (many of which were assembled from artifacts acquired during war conflicts and archeological expeditions) and raises the issue of authorship and value attribution. 0GMS is one of the least provocative of Ivan Moudov’s projects, but it also one of his most effective. With Kamen Stoyanov and Steven Geurmeur, Moudov has conceptualized a commercial art gallery in the shape and size of a drawer. 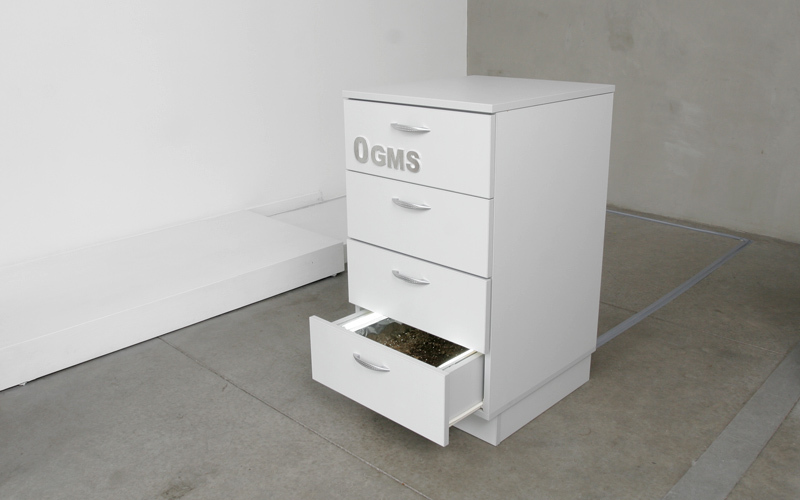 The drawer has a symbiotic relationship with existing art spaces, making use of their furniture (e.g. a cupboard in the kitchen of the Institute of Contemporary Art in Sofia), as well as their program, communication channels and audience. 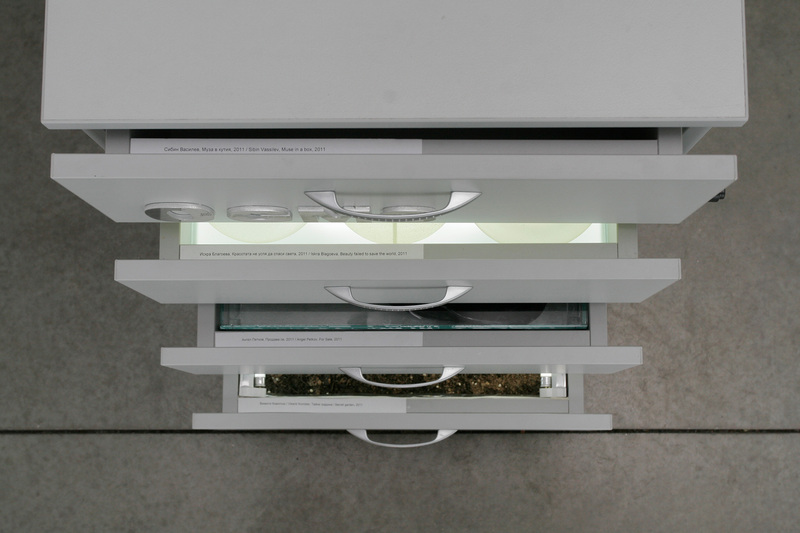 The “gallery” presents mostly work by young artists – work which must fit the size of the drawer. For the exhibition at the Sariev Gallery in Plovdiv, 0GMS has acquired a custom-made cupboard of its own – an art object in itself. 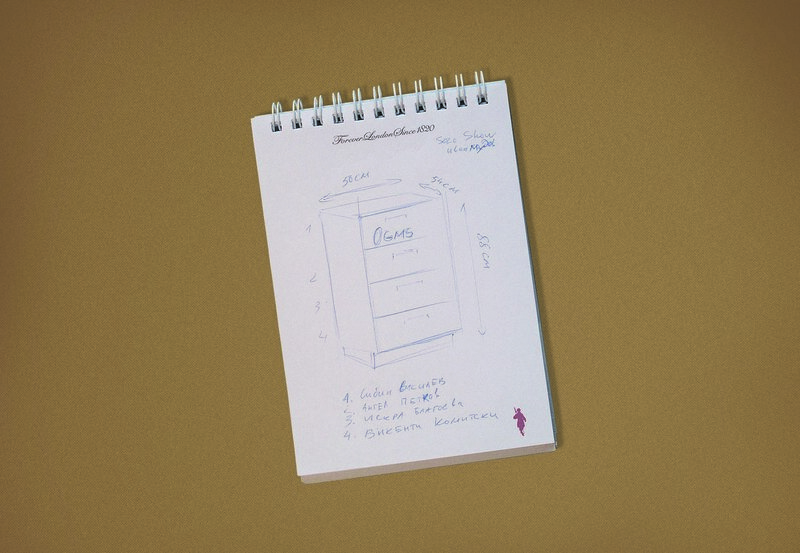 It has four drawers, presenting the work of four young artists. The appearance of 0GMS as Moudov’s solo exhibition at the Sariev Gallery can be interpreted in the light of his preference for complex situations, which often bewilders the audience and even the critics. The 0GMS gallery has now turned into a 0GMS artwork, and the artwork acquires an extraordinary significance. In addition to taking care of its own being and contextualization, it takes on the responsibility for the visibility and contextualization of the artworks it contains. 0GMS is a working example for a mutual support system between artists. The blurring of authorship in 0GMS is intentional. The question about the show’s author – whether it is Moudov himself, the three artists behind 0GMS or the four artists presented in the drawers – remains open. It clearly worries none of the participants and could only become a source of confusion, if and when the artwork is socialized within a public or private collection, since the artist’s name and signature continue to be a decisive factor in the attribution of artistic value. Ivan Moudov was born in 1975 in Sofia, where he lives and works. In 2002, he graduated from the National Art Academy in Sofia. In 2007, he was one of the three Bulgarian artists presented at the 52nd Venice Biennial of Contemporary Art. He is a member of the Institute for Contemporary Art in Sofia.